Sometimes my little artsy project ideas don’t always turn out exactly as I plan, or don’t hold our 4-year old’s attention span the way I think they might. Still, though, it’s all about enjoying the time together, right? 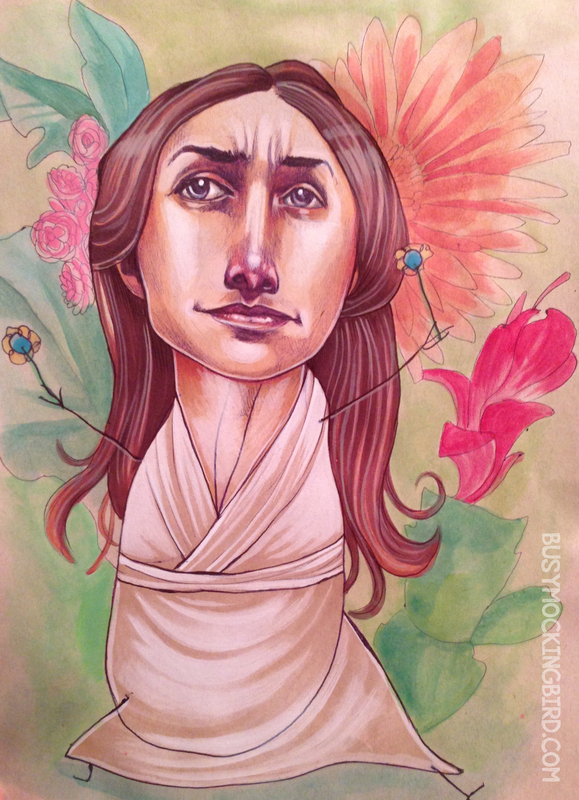 So I had this idea about Georgia O’Keeffe. 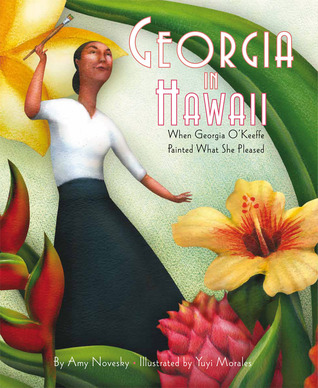 We had recently found this kid’s book at the library called Georgia in Hawaii. Despite not being a huge fan of Georgia O’Keeffe’s work, I couldn’t pass up the opportunity to read about artists to our daughter. Innuendo aside (seriously: way, WAYYYY aside), Georgia painted NATURE. She looked very, very closely at nature, and found beautiful and amazing things there. I thought it might be fun to see if the kiddo could look at things very close-up and see what happens. So anyway, back to Georgia. 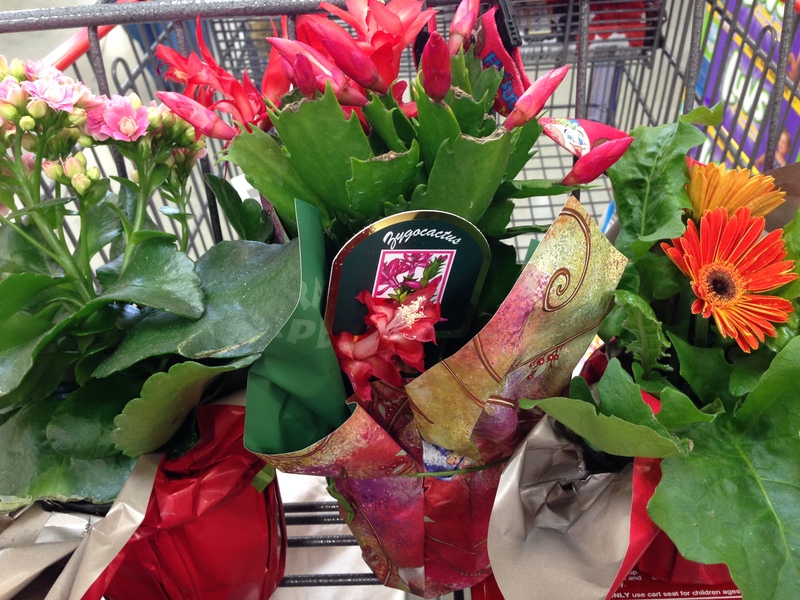 The next grocery store visit, I grabbed a few very colorful flowers from the in-store florist. She was enthusiastically game at first, really looking up closely at the little red flowers she thought were pretty. I had paints out, but she preferred her markers. 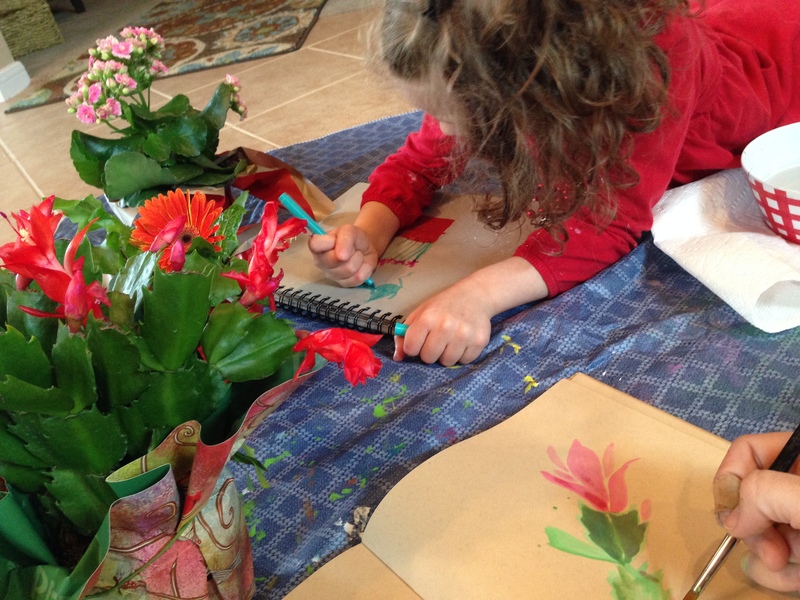 With us, one of the keys of our art projects is that I HAVE TO DO THEM, TOO. So I did. I doodled some flowers close-up, while she doodled on her page. But here’s the thing I forgot, and I’m sorry: Um….I don’t really find sceneries and flowers very fascinating. I’m very sorry and don’t mean to offend if that’s your thing. I am very happy that Georgia DID, but I personally found myself getting a bit…well…BORED of the little plant doodles. I really prefer faces and stuff. And if I don’t like doodling plants, why was I trying to have HER do it? So I was feeling kind of bad about it. Like it was a lame idea. Like maybe this one was a flop of a project for her. It was so cool. 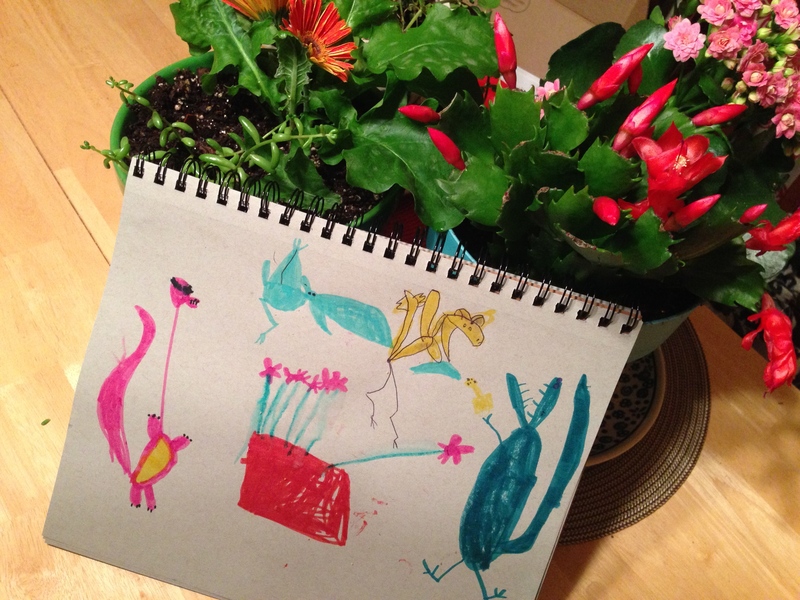 She, too, had tried the detail and focus of looking at the flowers as a reference, but then her imagination took over, and she filled the page with dinosaurs. And you know what? That’s AWESOME. Because if something you do isn’t exciting for you, you don’t have to suffer through it…just customize it and MAKE it fun! Make it into something you feel good about. Step out of your comfort zone occasionaly, look around & try new things, but know that it’s totally okay to stick with the thing you like most, and go add some dinosaurs to make it fun. There’s no “right” way to do these kinds of projects with your kid. I think it was the guys from Freakonomics who researched whether or not reading tons and tons of parenting books actually made you a better parent, and what they found out was that NONE of the information in the book actually improved your ability to parent, but the FACT that you went out and READ all those books or sought out information or researched things online about how to be a better parent means that you’re doing just fine. Same with doing fun projects with your kid–the end result DOESN’T MATTER. It doesn’t matter if you have a Pinterest-worth project to show in the end; the fact that you’re actually doing things WITH your kid is what matters. And it doesn’t have to be in art, either….it can be in whatever it is that you enjoy doing with your kid. The fact that you’re DOING it is what matters. I hear ya, kid. Staring at flowers=not that fun, actually. But hey–at least we know now, huh? Heading back to our comfort zone (and because Georgia has a really cool face to draw), we did a portrait of Georgia together. Because that’s what we like to do. ps who do the dinosaurs sound like? Good for you letting your daughter use her imagination. What nice memories you and your daughter must have. You ended up with a totally great portrait of Georgia, surrounded by flowers, yet. Way cool. You know what, these posts keep getting better and better! I think your blog is my favorite out there right now. I find myself saying “YES!” to so many things you write about. Thanks for sharing this flower adventure. I agree with you about Georgia O’Keeffe–I respect her and her perspective, but don’t find myself drawn to the same things. That’s okay. You and your daughter make and awesome team and I love hearing your thoughts about it all! Man oh man! You always leave me with a smile and a very good and warm and fuzzy feeling. You and the kiddo are inspirational. Thanks for sharing. That’s such a great thing to hear–thank you so much! You spent time together and you created art together – that’s what matters! Keep sharing that creative time you both do so well! I realy adore your daughter’s dino pic. Kids are great at giving instant feedback when our ideas are not working, aren’t they? They make the best critics too. 🙂 Looks like your adventure together turned out great. Nice portrait!